Give your pool a facelift with a new vinyl liner! Standard pool liners present visible lines on the pool floor at the seams which ultimately detract from the beauty of the pool. Our innovative Ultra-Seam® technology elevates our liners to an entirely new category. This exclusive process makes floor seams stronger and virtually invisible, so there’s nothing that gets in the way of the picture perfect beauty of your pool! This feature is standard on every pool liner we install – talk about quality! Ask about Manufacturer Rebates to bundle and save! Quality is important, and quality doesn’t always happen fast. A pool is a lifetime investment, and we don’t try to sell you on a particular type of pool. We install everything from fiberglass to vinyl liners to gunite. That means we work with you to determine the right pool for your family, backyard, budget, and lifestyle. Those other guys don’t do what we do. They’re not experts… from the beginning to the end of the process. We are here for your family now and throughout the life of your pool. See why Aqua Pools truly is Worth the Wait. When you sign up for our FREE BioGuard Tru-Blue Promise program, we guarantee your water will always be crystal clear! It’s easy! Let us test your water once a month at no charge. If you’re loyal to the Promise and you still end up with algae or cloudy water, we’ll give you everything you need to fix it for FREE. Sign up to take the BioGuard Tru-Blue Promise today! Making time for personal wellness isn’t always easy. This is why you should experience the difference of a Marquis Hot Tub. Whether it’s therapeutic benefits, ergonomic details, ease of use, water care, aesthetics, noise level, installation, durability, reliability or affordability, Marquis is The Ultimate Hot Tub Experience! You could be the next one to benefit! 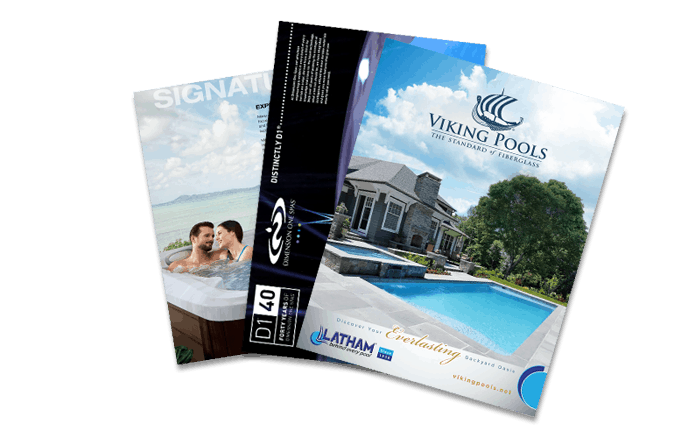 We’re happy to send you a free brochure so you can learn more.